Tushar Vashisht, co-founder and CEO of Healthifyme, spoke to Business Insider about the startup’s fast growing business. Vashisht said that their India business is likely to turn profitable this year. The app has roughly 9 million users from over 220 cities in India, has expanded to Malaysia and Singapore and is even contemplating a China entry. India has the third highest obesity rate in the world and this startup has taken it upon itself to help Indians lose weight. Healthifyme, which is the top rated Indian startup on Google Playstore, is also set to see its India business turn profitable this year. When Tushar Vashisht, co-founder and CEO, Healthifyme, came back to India nine years ago, he was one of the first ten members who were on the Aadhar team and went on to work in Project Strategy, working on the early adoption of Aadhar. Hit by the entrepreneurial bug, Vashisht, who had gained a lot of weight post his India return, knew that obesity in India was a problem he had to solve. In 2012, he launched Healthifyme for he had learnt that the biggest thing people needed was motivation. “We offered nutritionists and trainers to people as services, giving our users guidance and helping them stay motivated. What started as a small idea is a large business now. 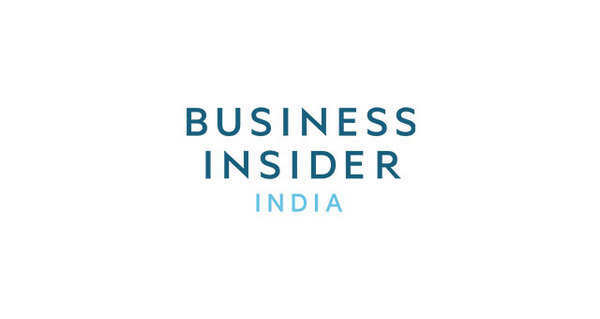 One and a half years ago, we launched Ria - our Artificial Intelligence assistant, which caters to 54% of the messages we get daily,” Vashisht told Business Insider. While a smart plan (with their AI assistant Ria) starts at ₹299, packages with a nutritionist start at ₹999. Today, they have roughly nine million users from 220+ cities and revenue-wise too they are growing strongly. 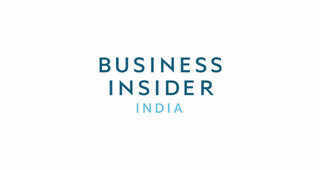 “Our India business is likely to go profitable sometime this year,” said Vashisht. Even when they launched the app, their growth was very organic. “People loved the app, as they recognised its value – it helps them achieve their fitness goals. We very quickly became the highest rated app in India and also were the Editor’s Choice app on Google Playstore,” he said. What stuck with India users was the very fact that their app was very Indian in nature – focusing on nutrition needs in India. “We were obsessed about the product and consumers. We just focused on how can we create the best app out of India. The app that you see today is the 7th version of Healthifyme,” he said. It has also launched an AI assistant – Ria. But could fitness, which becomes a very personalised programme, be handled by an AI bot? “Humans can’t scale so much. At the end of the day, there is a limit to how many clients we can handle. Ria is born and built out of human data. Ria handles the basic work – answers the basic questions and issues, which then allows humans to take over the in-depth queries,” he said. Cumulatively, the app sees consumers track one billion exercises a day and also send in 50 million messages per day. Their success in India has also pushed it to go international. They have already launched in Malaysia and Singapore and have hired local nutritionists and trainers in the countries to ensure the app becomes a local one. “We are already the number one app in Malaysia and have lakhs of users in Singapore,” said Vashisht. As they expand their business, they are looking into newer territories like Indonesia and are also contemplating a China entry. Healthifyme has raised $25 million in funding so far from investors like IDG Ventures India, Blume Ventures and Inventus Capital.